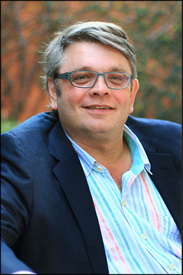 Janusz holds degrees in both Chemical Engineering from the University of Pretoria and Law from UNISA and is a registered Attorney, Patent Attorney, and a Professional Engineer. In 1997 Janusz became a partner of Hahn & Hahn attorneys, a boutique law firm founded in 1951 and specializing in technology law and intellectual property law. Janusz is a Custodian Member of the South African Association for Food Science and Technology (SAAFoST) and sits on the Council of FSI of the Consumer Goods Council of South Africa as well as sitting on the Food Law Advisory Group of the Department of Health. Prior to qualifying as an attorney, Janusz worked at the CSIR in its Division of Food Science and Technology where he was specifically involved as a Food Engineer in brewing and fruit processing. Later, Janusz worked as a Senior Process Engineer at APV International where he was responsible for the design and commissioning of brewing equipment, fruit juice processing equipment, fruit juice evaporators, milk pasteurization, and cheese and yoghurt production. Janusz has assisted many leading listed companies as well as SAAFoST with their various Foodstuffs, Cosmetics, and Disinfectants Act and Regulations, Medicines and Related Substances Act and Regulations, and Consumer Protection Act submissions to various Government Departments and Parliament as well as implementation in their businesses. In particular, Janusz has been extensively involved in the GMO debate and the issue of advertising to children under R429. This in depth and on-going involvement in the process has given Janusz special insight into Food Law and the Consumer Protection Act.